If you are worried about your home being cold or damp in winter, and rising energy costs, Age UK have a new FREE service that is available to any older person. To find out more, call us on 01422 262011 or visit the website. Northern Powergrid has launched an improved online registration process for its Priority Services Register (PSR) for those customers who feel they are particularly vulnerable and would benefit from additional support during a power cut. New features now allow carers or relatives to register on behalf of a vulnerable person and also let those registering set the length of time they wish to be on the register. Reminders will be sent automatically to extend or end their registration. The PSR pages include tips on energy efficiency and contacts for organisations offering support and advice on heating and fuel bills. Age UK Calderdale & Kirklees Health and Community Services team are working with ‘Good Neighbour Scheme’. They aim to alleviate a lot of the problems associated with later life. 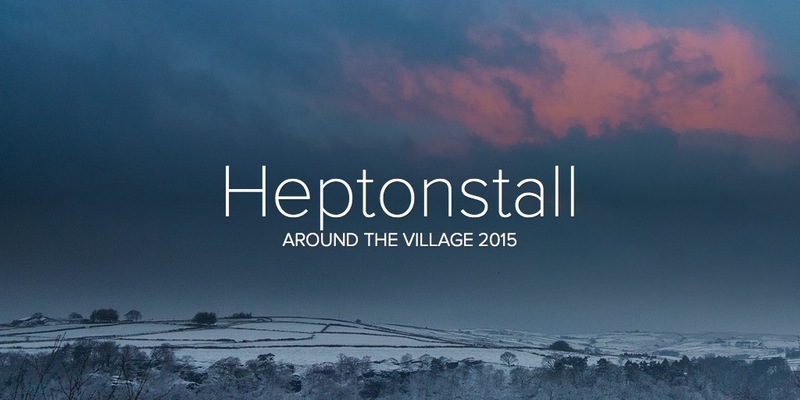 A project which the people of Heptonstall are likely to hear a lot more about is ‘LOCAL LINK’. Local Link is managed by Andrew Fearnley, who has a network of Community Volunteers, mainly in rural areas of Calderdale, who act as ‘eyes and ears’ of their local communities, to support isolated older people. Mary Cockcroft and Jean Leach are our volunteers in the Heptonstall area. Andrew also runs a scheme called ‘SAFE & WARM’, offering Home Energy Information and Advice, with support in applying for grants and reducing fuel poverty amongst vulnerable older people. The ‘ACTIVE BEFRIENDING PROJECT’, co-ordinated by Christine Henry offers ‘one to one’ support for isolated people throughout Calderdale. Trained volunteers are linked with lonely older people who feel depressed and socially isolated. The scheme is focused on engaging people in activities with their befriender, in order to restore confidence and gain more out of life. People are referred to the scheme through various channels; usually by Health Professionals, but often by family or neighbours and sometimes by the person who actually needs the support. Andrew and Christine can be contacted at Age UKCK Choices Centre, Woolshops, Halifax. For further information Tel 01422 399830. If you think that you – or someone you know – might be interested and/or you would like to find out more, then please contact Phil Kelly on 01422 847328. The minutes from the meeting can be seen here.